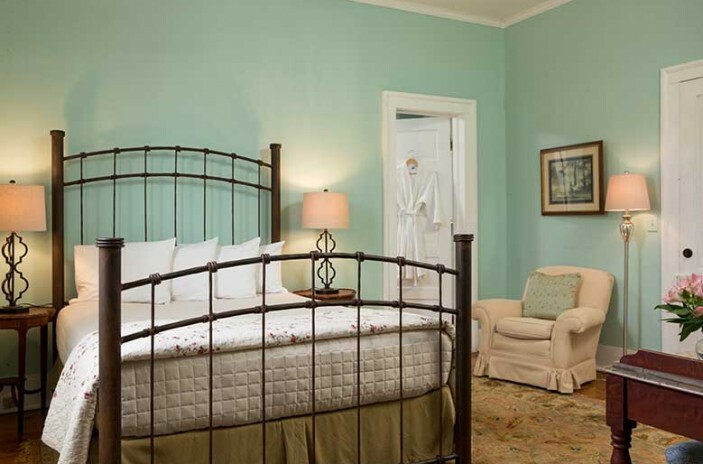 Join us at our top rated hotel in Edenton, NC. 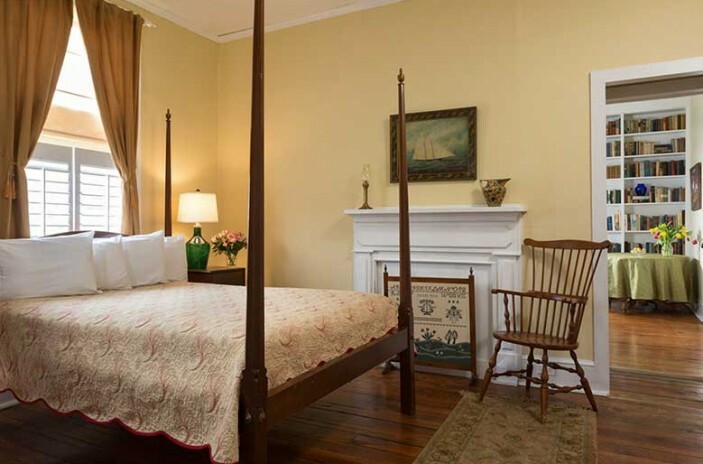 We offer five beautiful buildings in the historic district and are just a short stroll to the Edenton Bay waterfront. 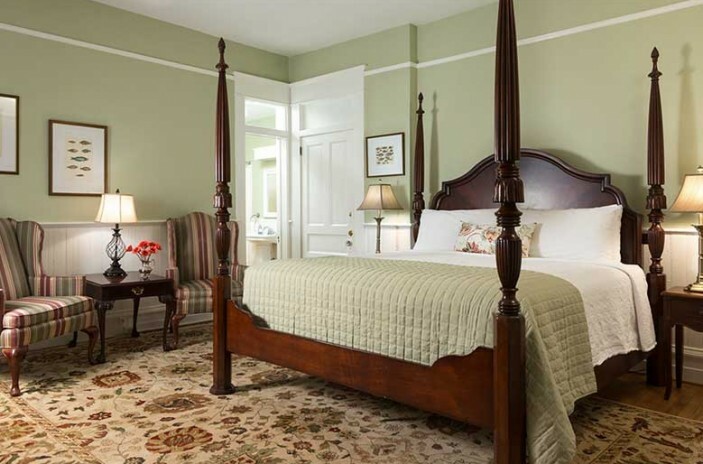 The spacious rooms and suites at our boutique Edenton, NC hotel are individually decorated and unique in character for a memorable getaway. 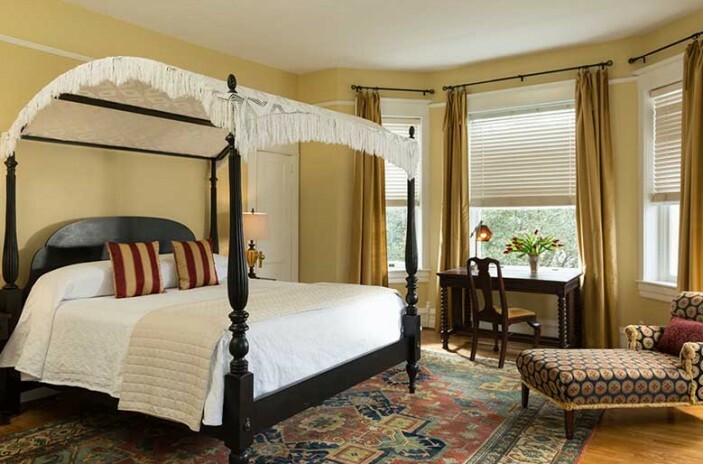 The Inner Banks Inn is known for its high level of service and is a true value to its guests. 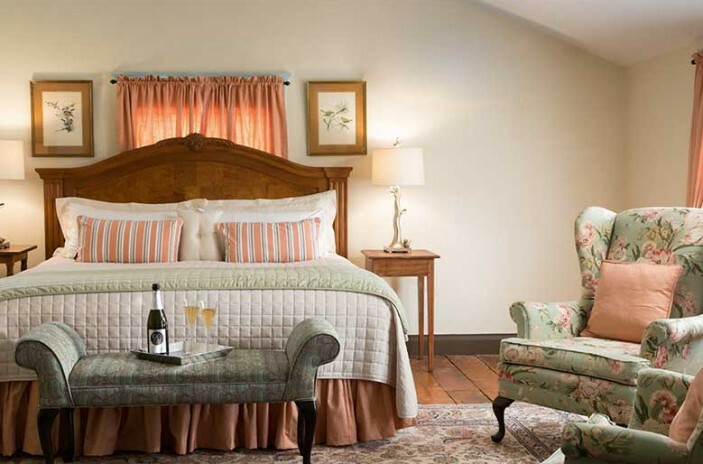 The following services and amenities are complimentary when staying at the Inn. Our ADA Accessible room is Room 17: Chowan Room, in the Pack House and has a wheelchair ramp and disabled parking close to the entrance. The bathroom has a large walk-in shower with handheld showerhead and seating. If you require ADA accessibility, and the Chowan room is unavailable per our electronic reservation system, please give us a call. 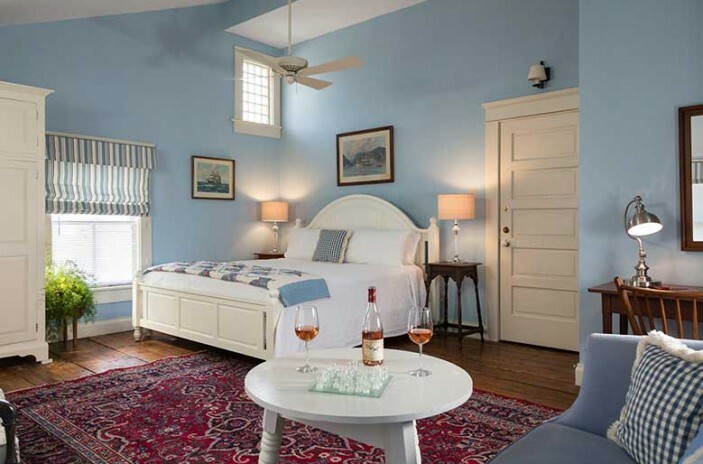 If booked by a non ADA guest, you will be given first priority, and our guest will be moved to a comparable room. 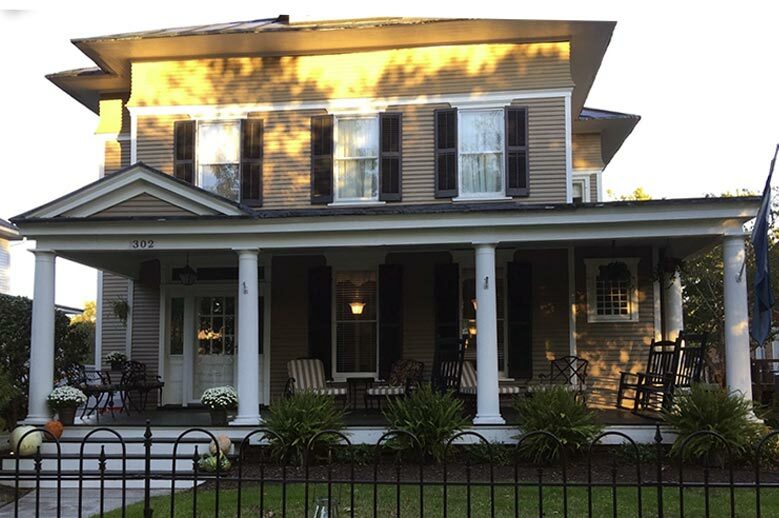 Located at the corner of 300 North Broad and East Albemarle Streets in the Edenton Historic District, this Victorian mansion boasts a grand wrap-around porch, soaring ceilings and impressive architectural features. It is one of only five homes in Edenton that was built using Edenton brick at the turn of the 20th century. 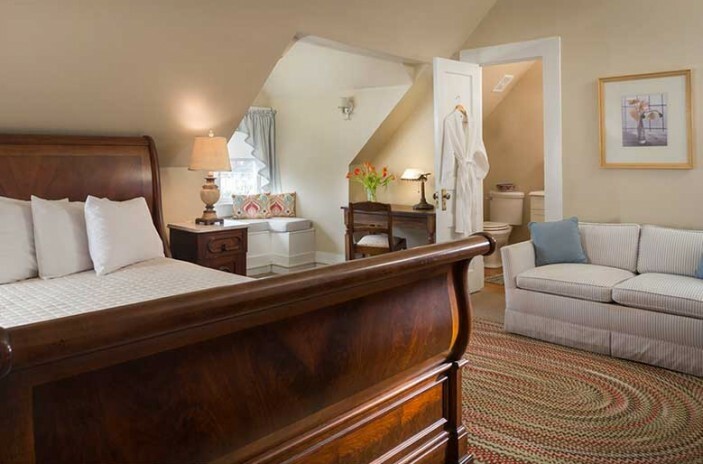 There are eight guest rooms furnished with period antiques, artwork and fireplaces. 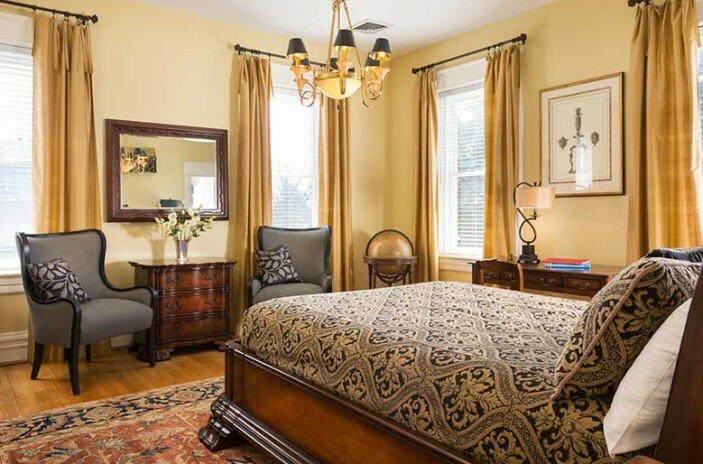 The house includes a guest kitchen with Keurig coffee machine and complimentary drinks and snacks. The Pack House was built in 1915 and is one of a few tobacco packing houses remaining in North Carolina. Built at the 1785 Strawberry Hill Plantation, "The Pack" was divided in half, placed on two flat bed trucks and moved to its present location in 1987. 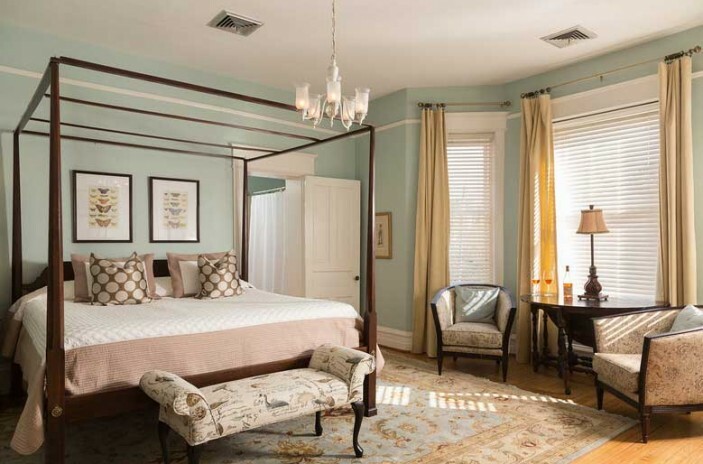 Its famous restoration and conversion into an eight bedroom Edenton, NC bed and breakfast is credited to Arch and Jane Edwards, the original founders of the Lords Proprietor’s Inn. Guests enjoy expansive gathering spaces both inside and out that include two wood burning fire places and an expansive front porch with rockers that overlooks the Pack House Green. The house provides a guest kitchen with Keurig coffee machine and complimentaray drinks and snacks. 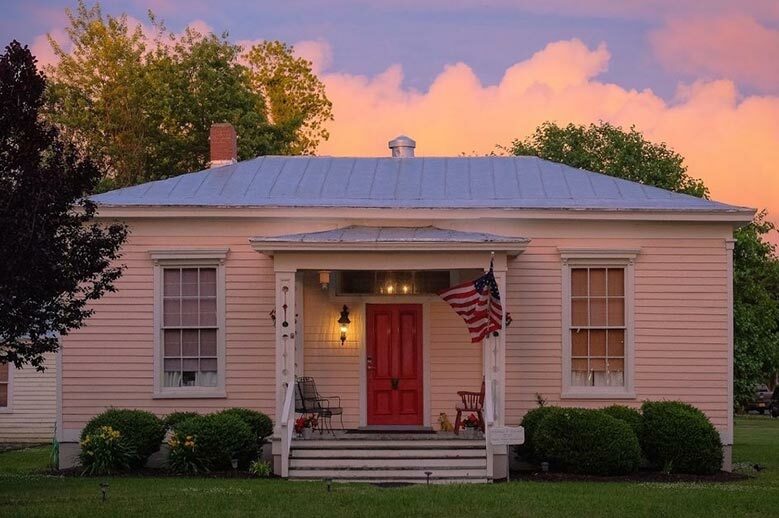 The Tillie Bond Cottage, circa 1879, was once the personal residence of Tillie Bond, a famous local lady and last private owner of Edenton’s famed Cupola House. The cottage was gifted to Miss Tillie by a group of local bankers to intervene the selling off of the inside woodwork of the Cupola House during hard times. 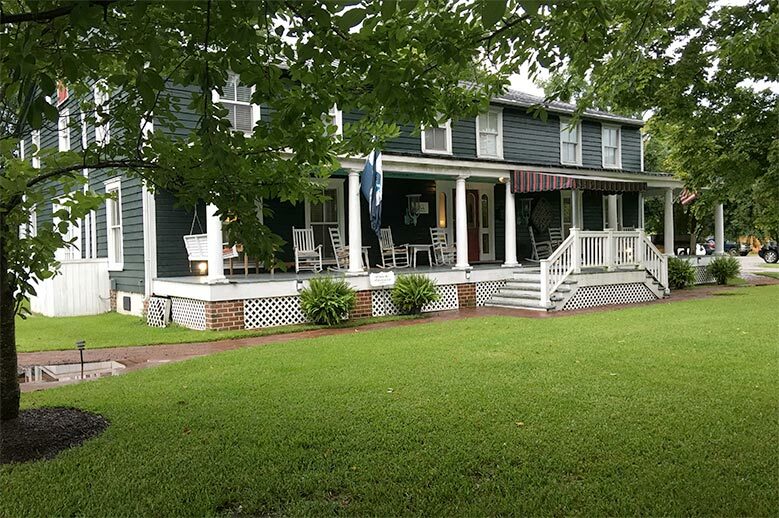 The cottage has been moved three times making it the most relocated home in Edenton. 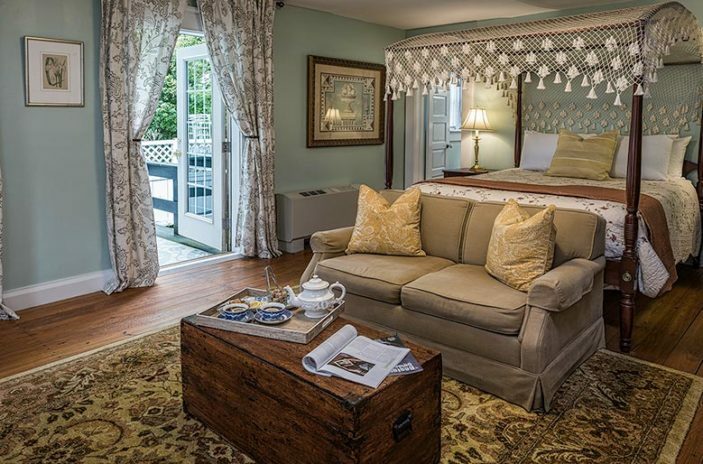 The cottage features two suites, each with bedroom and spacious sitting room. 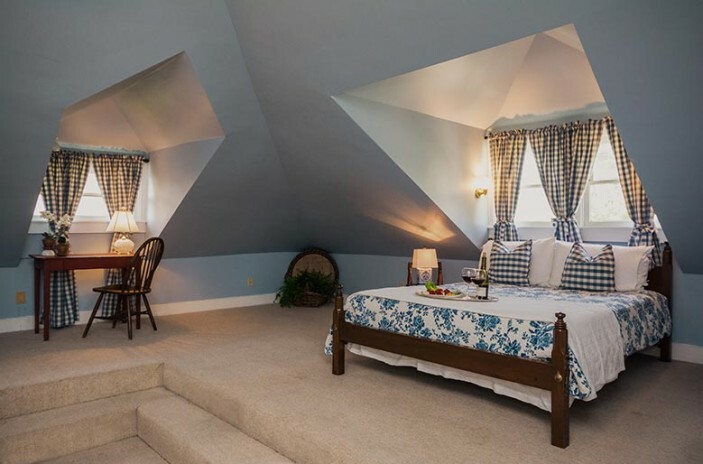 The two suites may be rented separately or combined for the perfect pet friendly, North Carolina vacation rental home. Guests can enjoy the use of the full kitchen with a Keurig coffee machine and complimentary drinks and snacks. An ideal option for families traveling with pets and children. 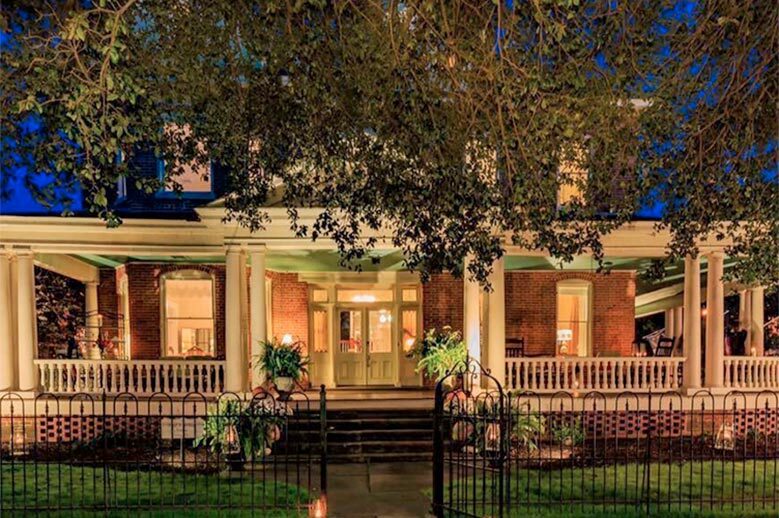 The Satterfield House is conveniently located adjacent to the Victorian mansion and check-in area. This early 1900’s house has its own porch and driveway and has two suites, one on the second floor and the other on the third floor. The first floor houses one of our private dining rooms and corporate meeting spaces. Rooms 9 and 10 can be combined for a whole house rental. While the Satterfield House has WIFI, cable television upgrade is pending. Daily room rates are based upon single or double occupancy, and are subject to change based upon availability, holidays and special events. A full breakfast is served from 7:30 to 9:30AM daily. 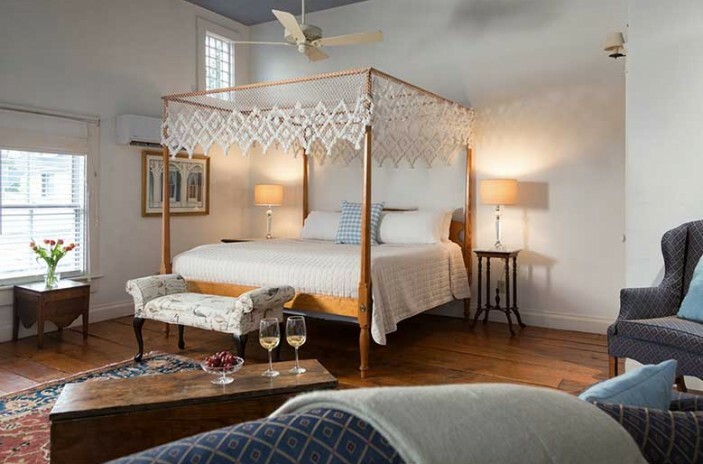 In rooms where it is permitted, additional guests above normal occupancy will be charged $40 per person, per night. This helps us offset the extra costs accumulated during your stay like breakfast, linens and housekeeping. At the time of booking, a 50% deposit will be required. An accommodation containing a one night stay will need to be paid in full at time of booking. Any reservation with a package, tickets or add-on is required to be paid in full at time of booking. We will try and resell the room, and if we are successful will be more than happy to refund the deposit. You are welcome to send a friend or family member in your place! We will refund the deposit onto a gift certificate that can be used at the Inn or Restaurant within two months. 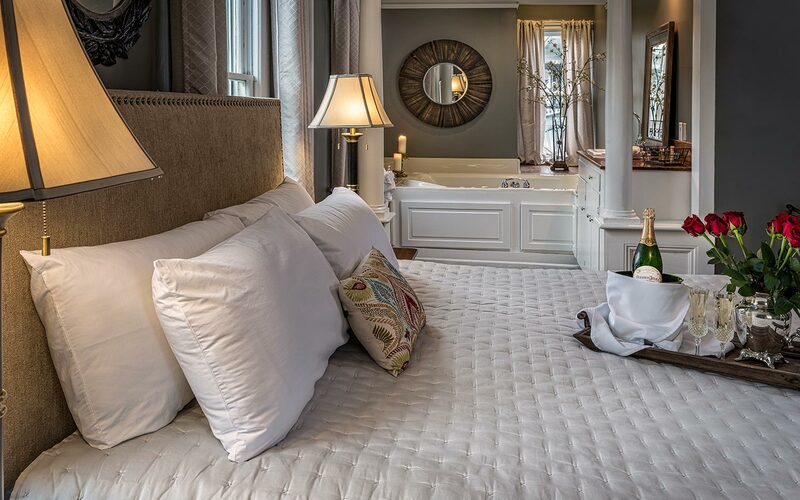 Cancellations on Holiday Weekends, Special Events and Candlelight Tour require a 30 day notice, and Multiple Room Reservations require an eight-week notice. Check-ins are from 3 PM – 7 PM. Early or late arrival arrangements may be made with prior notice. When booking eight or more rooms at a time, an eight-week cancellation policy will be in effect. Guests making multiple room reservations will be liable for any and all nights NOT claimed or paid for. When booking a multiple room reservation block, a special room code is created so guests may easily book online. Guest payments need to be completed no later than 30 days prior to the special event. Any rooms not paid for are the responsibility of the booking party. In response to inquiries from our guests, please note that staff members are permitted to accept gratuities. Gratuity recognition is welcome for exceptional service for any of our staff members and service teams. 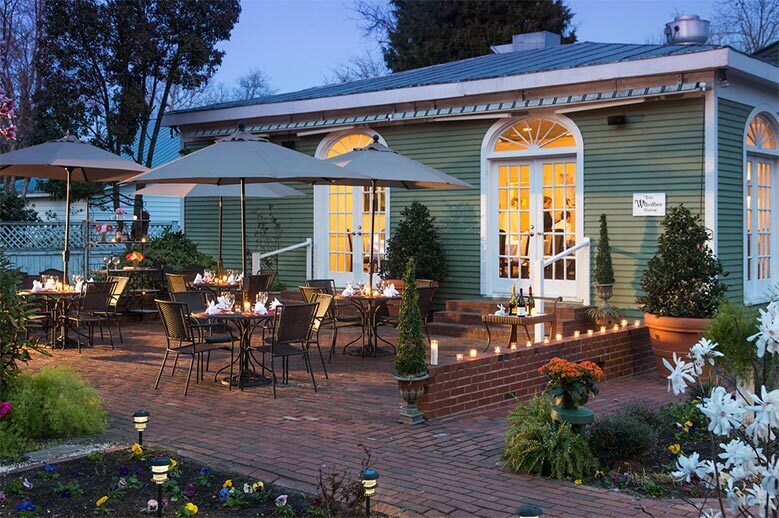 Due to North Carolina Liquor Laws, all alcoholic beverages consumed on the Inn's property must be purchased from the Inn. We are happy to serve you wine, beer or spirits from our full bar menu upon request. We accept Visa, Mastercard, Discover and American Express as forms of payment. A limit of one gift card/certificate from approved third party sites may be applied to room reservations only. Inner Banks Inn does not allow smoking inside any of our buildings. Any and all violations will result in an automatic $250 fine charged to the credit card on file. Smoking is allowed outside on our porches only. We love our dogs and yours, too! 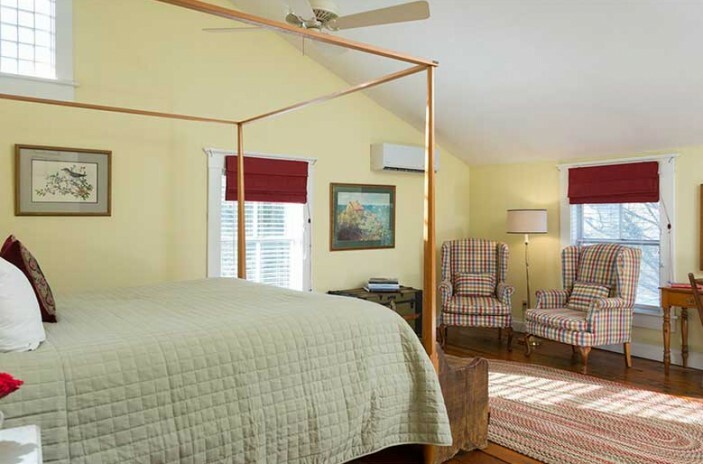 Our two dog friendly rooms are the Martha Edwards Suite and Tillie Bond Suite located in the Tillie Bond Cottage. Pets are also welcome on the patio at our onsite restaurant, The Table at Inner Banks. Out of consideration for our future guests and their unknown allergies, we are unable to accept pets in any other rooms or suites. A non-refundable charge will be added to the reservation of $50 per dog, per night. The maximum number of dogs per room is two. Please keep your pet on a leash, and pets are NOT ALLOWED in the Dining Room or common inside areas. Please use the "Do Not Disturb" sign to alert housekeeping staff when your pet is left alone in your room. Pets must be accompanied with a carrier/kennel/crate/pen; no exception please. 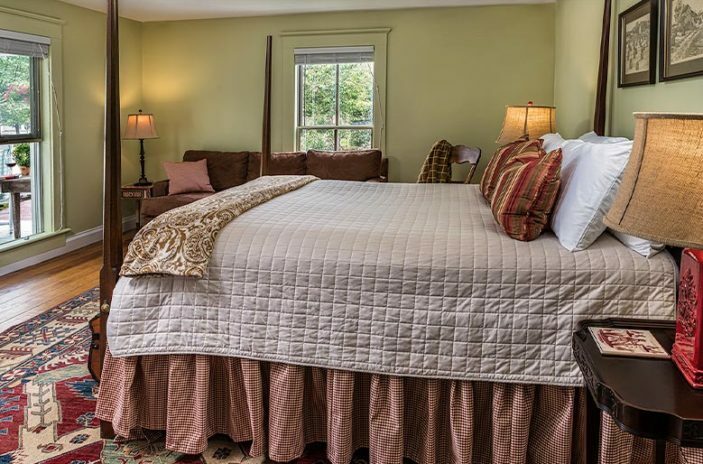 Guests staying at the Inner Banks Inn are responsible for treating our accommodations and everything in them with respect. 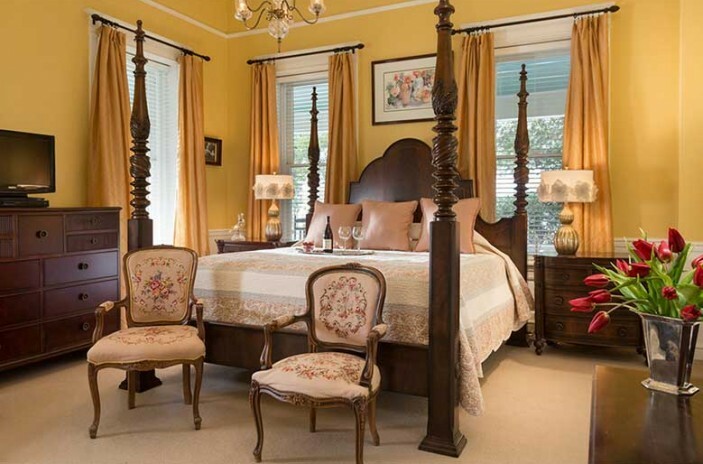 All rooms are checked before and after each stay for damages and missing room amenities. The credit card on file will be charged for any and all damages and/or missing items that do not fall under "normal wear and tear." There is a $25 fee for Non-Returned keys. Well behaved children are welcome. 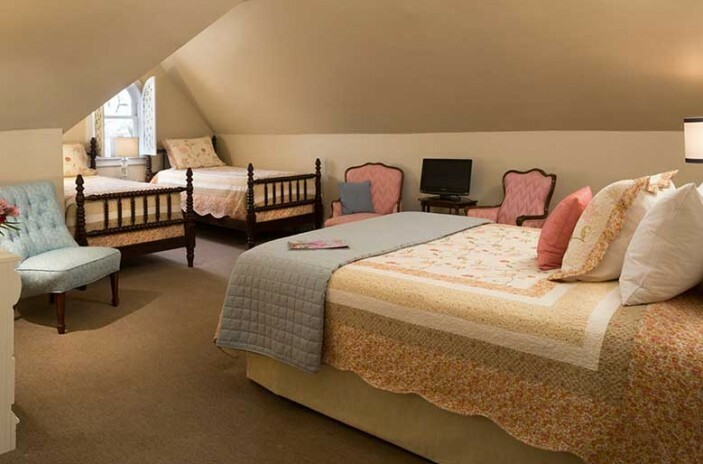 Children ages 5 and under stay complimentary when in the same room with a parent. For additional guests, ages 6 to 12, the extra person fee is $20. We respect that most of our guests come to our inn for a romantic getaway; therefore, children are to be supervised at all times. At Inner Banks Inn, we are dedicated to protecting your privacy and safeguarding your personally identifiable information. 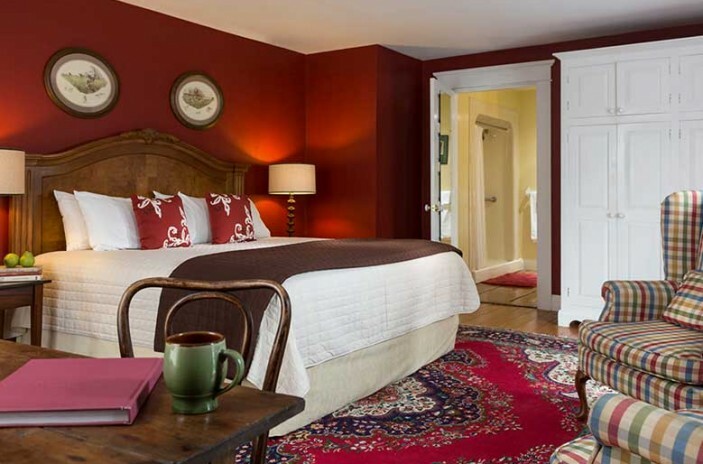 Our main purpose in collecting your personal information is to provide you with a streamlined experience in making reservations at Inner Banks Inn. We only collect information about you that we consider necessary for achieving this. Personally identifiable information is only obtained when making a reservation. At Inner Banks Inn, we take security seriously. When users make a reservation we use every precaution to safe guard it online and offline. 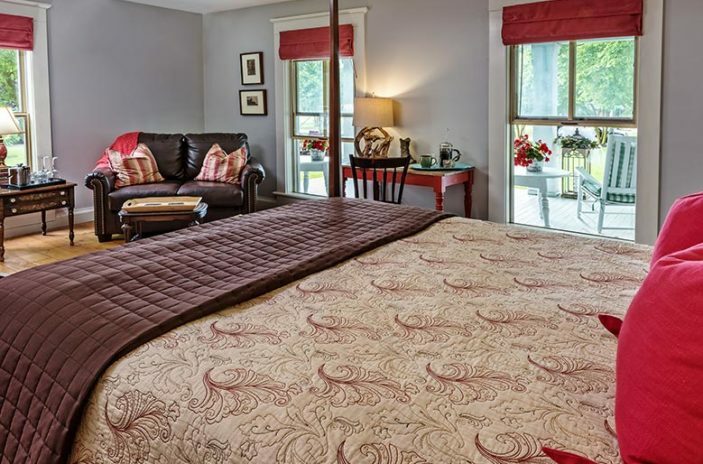 Inner Banks Inn may amend this Privacy Statement from time to time in order to meet changes in the regulatory environment, business needs, or to satisfy the needs of our guests, properties, strategic marketing partners, and service providers. Enjoy a romantic meal at our on-site Ocean • River • Farm to Fork™ restaurant, The Table. An award winning addition to Edenton, NC restaurants, our chefs will tantalize with inspired American regional fusion cuisine all grown close by at our neighbors' farms and collected from our native waters. Dishes are created by blending the best regional ingredients and techniques that America lends to the modern chef, while maintaining a focus on local culture, to create a literal melting pot of truly original and upscale cuisine. 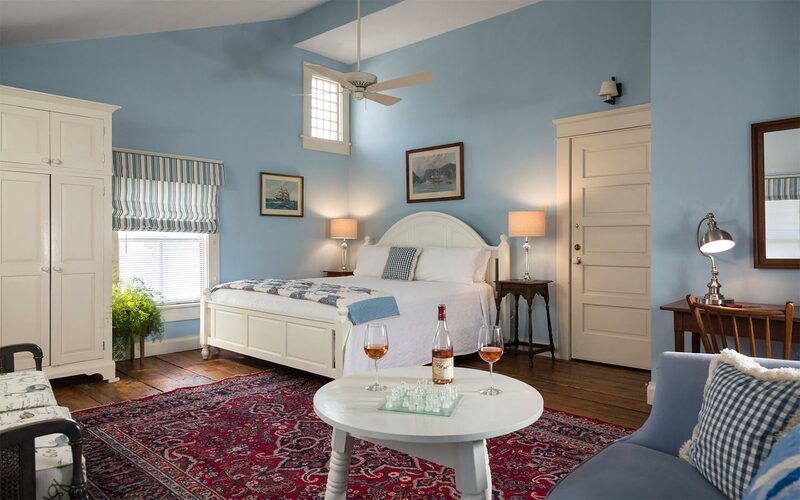 All rooms and suites feature modern amenities including air conditioning, private bath, desk, TV (except room 9 and 10), premium bedding and hand pressed linens. 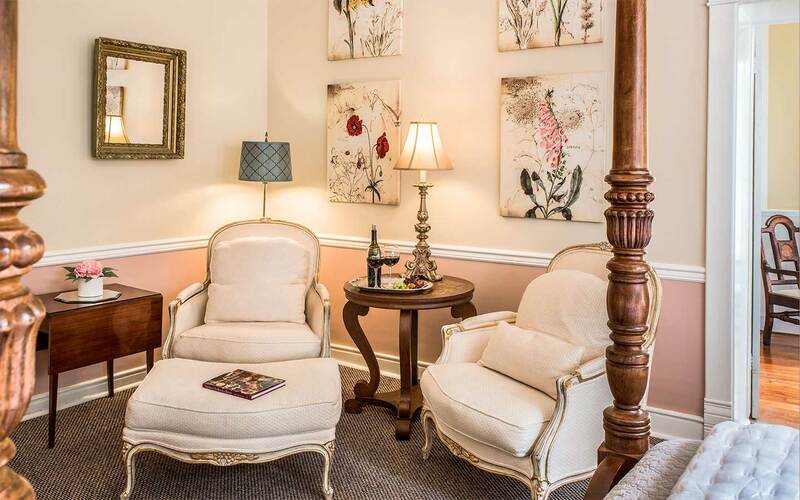 Guests enjoy southern hospitality at its best and a guest kitchen with complementary drinks and snacks. 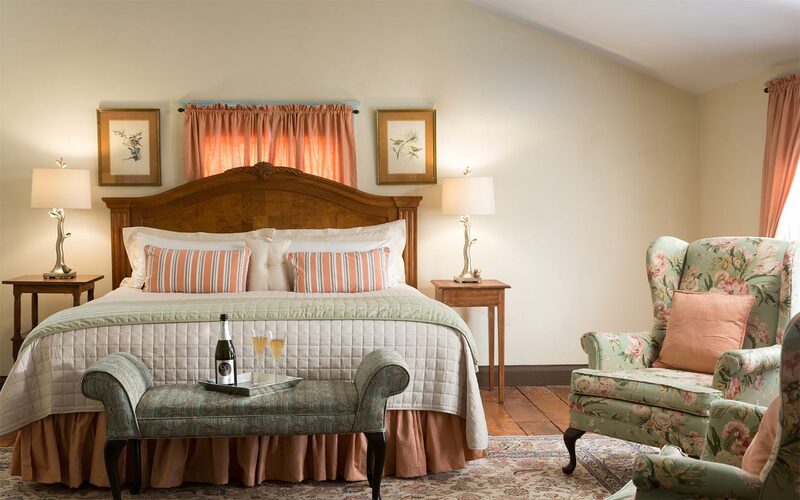 With our four beautifully restored, historic homes and converted carriage house restaurant, our Packages and Specials are perfect pairings to take your stay to the next level. The variety of amenities range from spa services, such as massage and individual and group yoga, to a custom Chef’s Tasting Dinner at The Table at Inner Banks. We are delighted to create a custom dessert and a dietary request is never an issue. A locally sourced, three course breakfast is served daily from 7:30 a.m. – 9:30 a.m. at our onsite restaurant, The Table at Inner Banks and on the beautiful patio in nice weather. Guests delight in our “breakfast in bed” add-on, and expanded times may be available with prior notice. 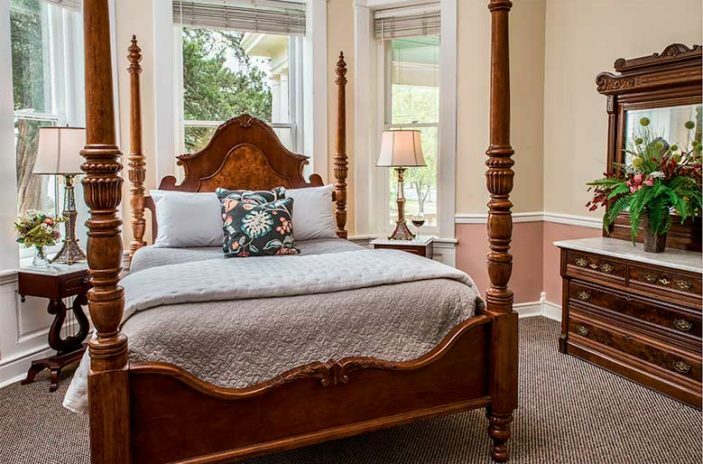 Our hotel in Edenton, NC is ideal for leisure travelers, North Carolina romantic getaways, family reunions, corporate functions, and fairytale North Carolina weddings.